After unveiling their new mixtape on Halloween 2013, Serial Killers—the West Coast trio will be on the European road touring and taking over the venues in March and April. 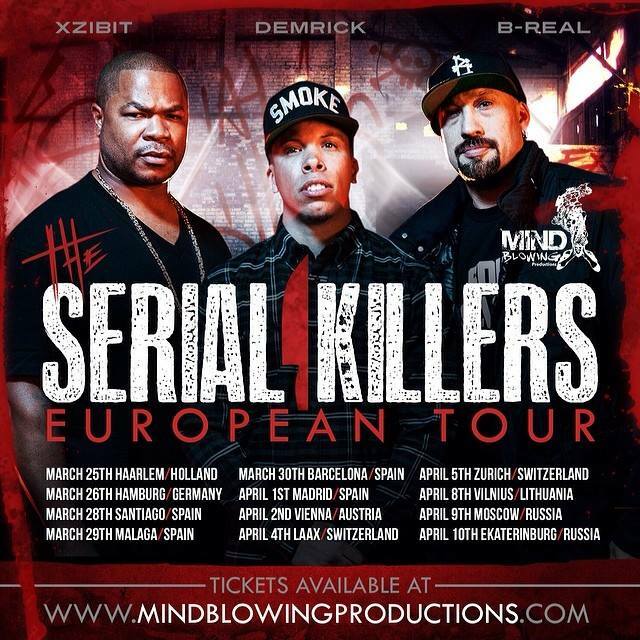 Demrick recently unveiled the exact tour dates of the Serial Killers European Tour, that you can check out below. Stay tuned at XzibitCentral for more tour dates and more information about the new album Xzibit is working on called ‘VANGUARD’. would just like to know, when are you plannig on bringing one of your tours to South Africa and Africa as whole ?